The electrical anisotropy of rocks is generally an effect of alternating layers of thin-bedded sandstones and shales with clear lamination. Thin-bedded rock sequences can be treated as an anisotropic medium described by two resistivities: horizontally to the bedding R H and vertically to the bedding R V . Such sequences have fairly low resistivity and, as a result of poor vertical resolution of conventional electric tools, one can sometimes fail to distinguish them from the adjoining shales. This paper presents the possibility of calculating the anisotropy parameters based on resistivity logs recorded with a laterolog tool (DLL) and an induction tool HRAI. 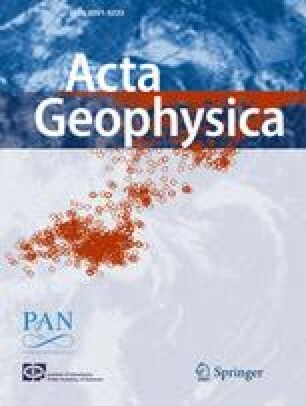 We have also performed an analysis of the ambiguity of the results and attempts to assess the water saturation (SW) generating cross-plots based on calculated resistivities, R H and R V .
It is very important to correctly evaluate the resistivity of sandstone interbeds when calculating water saturation (SW) and hydrocarbon saturation (SG), in formulating an integrated quantitative interpretation of anisotropic formations.